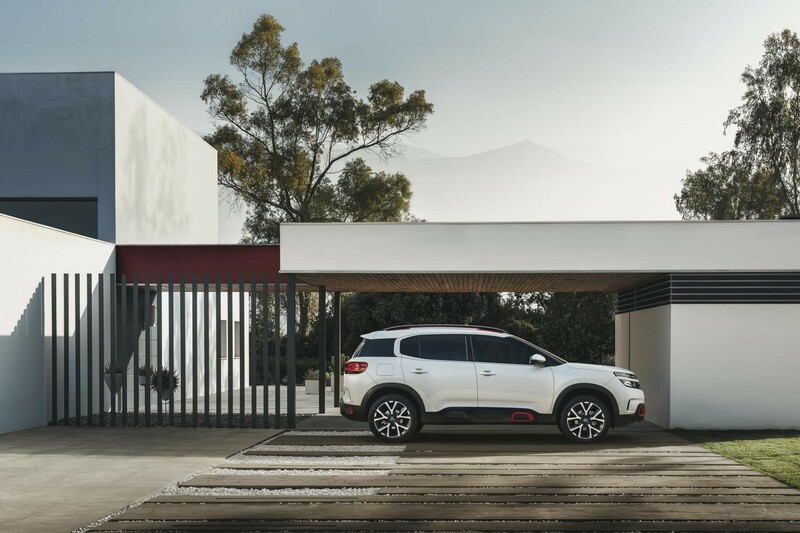 Citroen’s new Nissan Qashqai rivalling C5 Aircross SUV is priced from £23,225 and goes on sale in December. Petrol and diesel engines will be available from launch, with a plug-in hybrid joining the range in 2020. Three trim levels: Feel, Flair and Flair Plus are available. 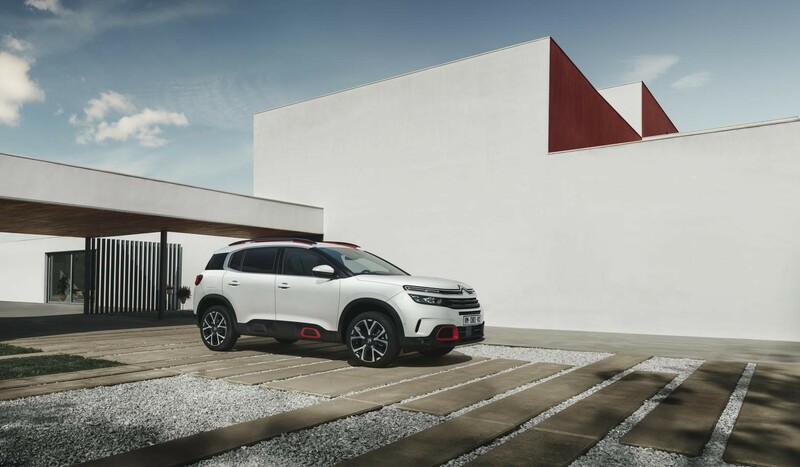 Citroen says the C5 Aircross is the most comfortable vehicle in its segment. The brand’s new suspension system with Progressive Hydraulic Cushions is standard on all versions. Advanced Comfort seats are fitted to Flair and Flair Plus versions, offering increased comfort for all passengers. 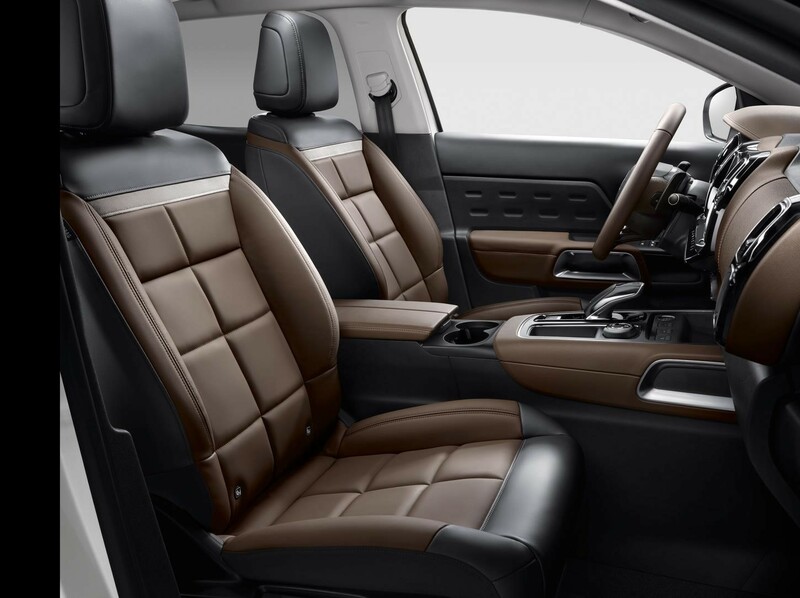 The five-seat SUV has three individual, sliding, folding and reclining rear seats, and a boot volume ranging from 580 litres to 720 litres. With the rear seats folded it has up to 1,630 litres. 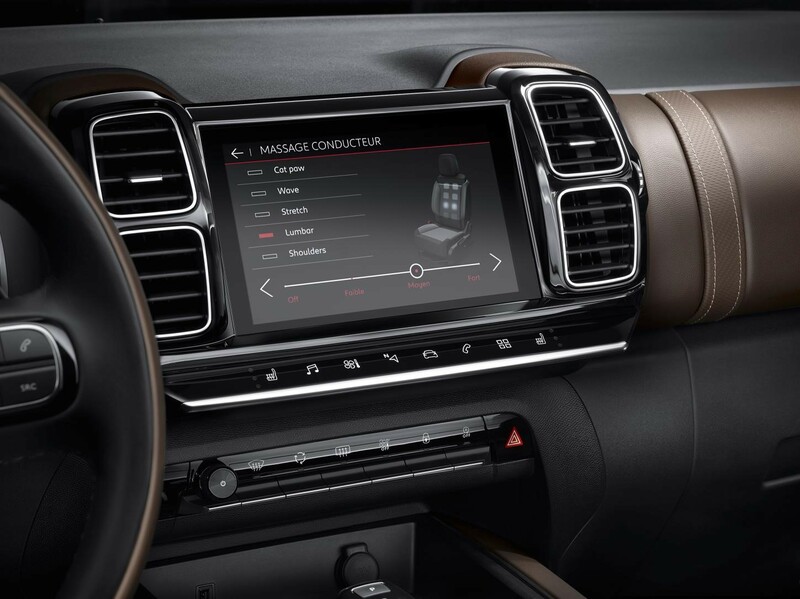 In front of the driver is a 12.3-inch digital instrument cluster and the infotainment system features an eight-inch HD touchscreen. 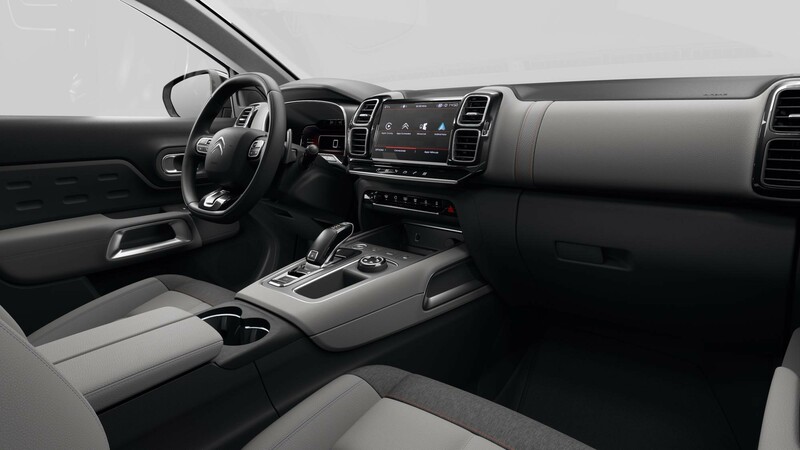 The new C5 Aircross also features a built-in dashcam and Wireless Smartphone Charging. There are 20 safety and driver assistance technologies, including Advanced Active Safety Brake, Active Lane Departure Warning and Active Blind Spot Monitoring, all of which are standard equipment. 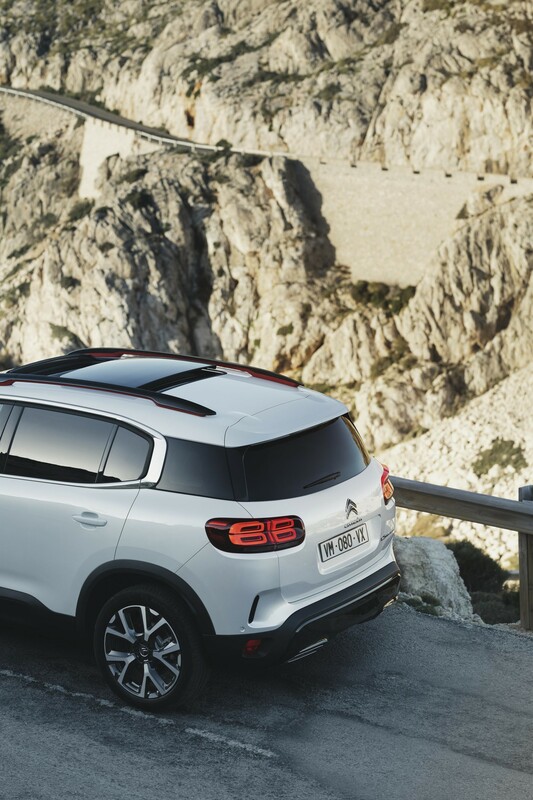 Customers can also order the C5 Aircross with Grip Control and Hill Descent Assist for off-road driving. Feel models also feature rear parking sensors, DAB and climate control. Flair versions get front parking sensors, reversing camera and folding door mirrors. Range-topping Flair Plus gets keyless entry, panoramic roof and adaptive cruise control. Personalisation is vast with a total of 30 exterior colour combinations. The most efficient model is the 1.5-litre BlueHDi diesel. With the optional eight-speed automatic gearbox it is expected to achieve a combined 70mpg with CO2 emissions of 106g/km. There is also a 180PS 2.0-litre BlueHDI engine that can achieve up to 60mpg. The petrol engines consist of a 130PS 1.2-litre unit that can achieve up to 54.3mpg and a 180PS 1.6-litre that manages 49.6mpg. First deliveries will commence in February. The Flair Plus PureTech 180 Petrol 8-speed automatic is the sweet spot, fully loaded, under any 130g/km ceiling, quicker and no doubt smoother than the diesel and well priced. This car has a lot in common (size, refinement, power) with the forthcoming Honda CR-V hybrid. Its impressive Citroen has got a comparable CO2 without needing to use hybrid tech. Looking forward to seeing how much this is when it makes it onto our lease providers site.